Sorry, Snow. This isn’t working out. We need to break up. 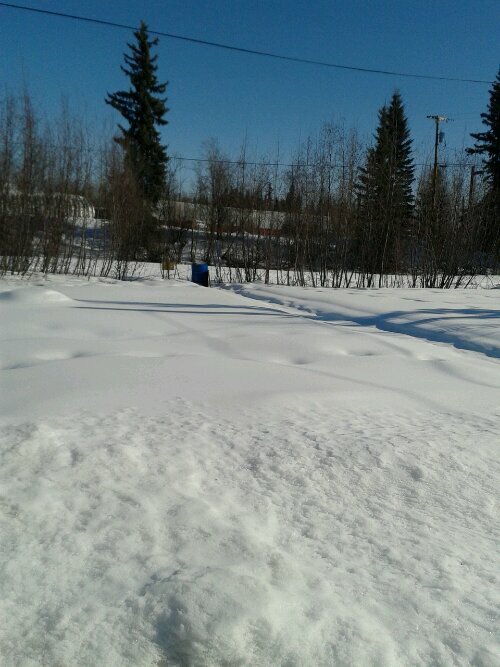 Here in Alaska, “Spring” is a welcome season. That means the snow will finally go away, after arriving as early as September and as late as November. Living here we are guaranteed to have a white Christmas. 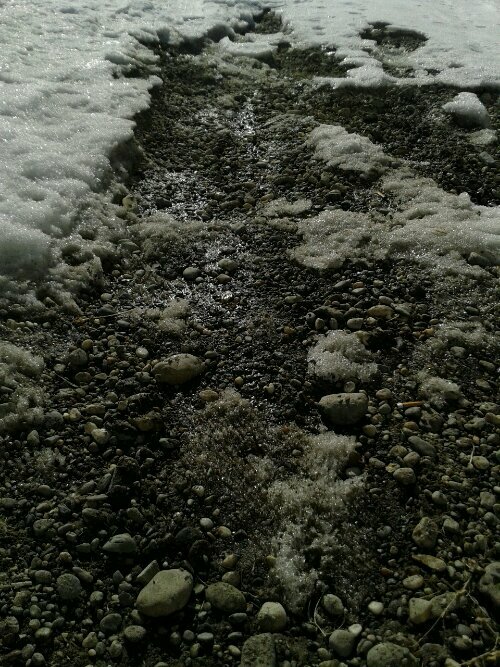 On the flip side, we are not guaranteed that the snow will melt by the end of April, or even by the end of May. There have even been years where it has snowed mid-summer. “That’s terrible!” Yes, indeed it is annoying. We don’t even call it Spring. As you may be doing right now, this is the season of shorts and tee shirts. If you live if a state south of us (called the Lower 48) you may have been wearing tee shirts for a while now. Guess what? We are too. It’s warm out. It may only be 30-40 degrees above zero, but after a winter where it’s hit down to -40 (yes that’s Fahrenheit) that’s warm. The slush and slippery roads don’t stop us. That muck of April it’s called Breakup. Breakup when the rivers crack and break revealing the rushing water hidden under layers of white snow and ice. Breakup, when the ice melts off the cars, houses and streets to flood the rivers. 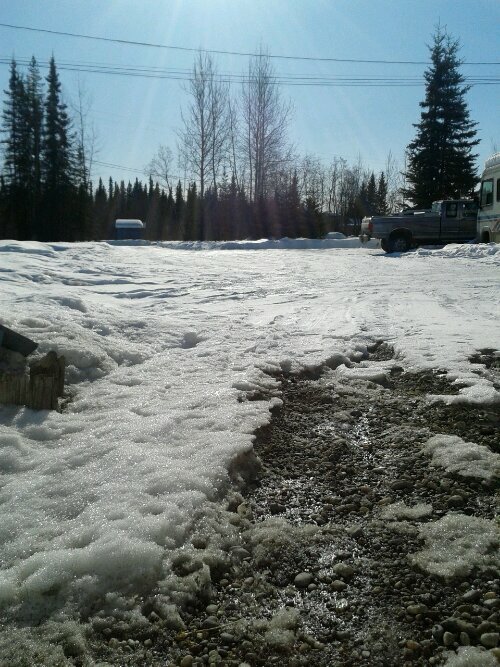 Breakup has come, the slush has replaced some of the snow and ice and fills the roads. Lines are actually visible on roads and in parking lots, but rarely does someone remember the purpose of those lines. The snow stays though. The snow stays in the fields and the yards. Snowmen still stand at attention, but they begin to frown, almost as if they know their fate is coming slowly to mock them. Welcome. Welcome to Alaska’s Breakup.